Mother Nature marred sessions as the locals, returning after a one-year absence, prepared for their play within the Women’s Football Alliance (WFA). The less-than-ideal environment experienced back then actually worked to the SLAM’s benefit Saturday night as the tackle football franchise topped cross-state rival KC Titans 28-8 at a soggy St. Mary’s High School. St. Louis (2-0) trailed early but executed at better levels as conditions worsened. In fact, the 14-0 second half output during perpetual rainfall propelled the team to victory. Although twenty points was the final differential, the SLAM fully knew that they were in a battle as the game was a six-point affair heading into the final quarter. After both teams fizzled on their opening possessions, St. Louis capitalized on great field position five minutes deep and started on the Kansas City 30. SLAM penalties thwarted red zone attempts but a reverse that was called with 1:30 left in the quarter resulted in Price’s 22-yard touchdown romp that cracked the goose egg. Veteran Danielle Thompson added the kick afterwards which made the score 7-0. In the second quarter, Kansas City flipped the scoreboard with quarterback Liz Sowers’ fake punt that resulted in a 65-yard touchdown run at the 10:10 mark and the ensuing two-point conversion from running back Sophia Turner resulted an 8-7 lead change that favored the Titans. 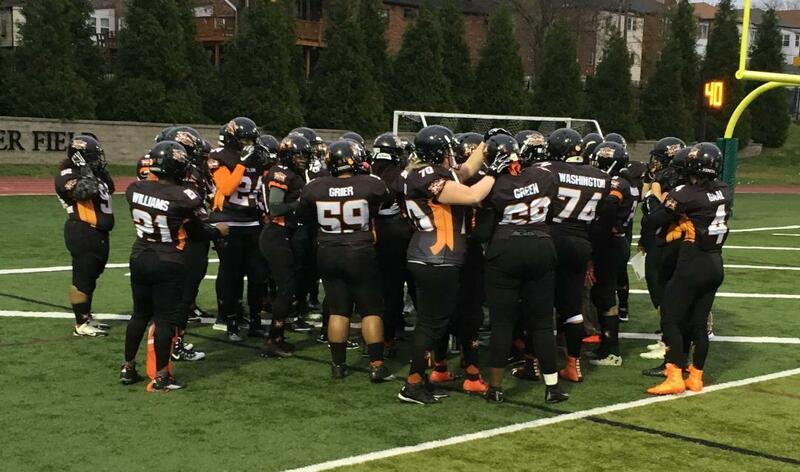 The SLAM regained the lead with 5:25 left as quarterback Jamie Gaal connected with Price for a 55-yard touchdown strike and Thompson’s successful kick that followed made the score 14-8. In the third quarter, the Titans planned to tie the game five minutes in. 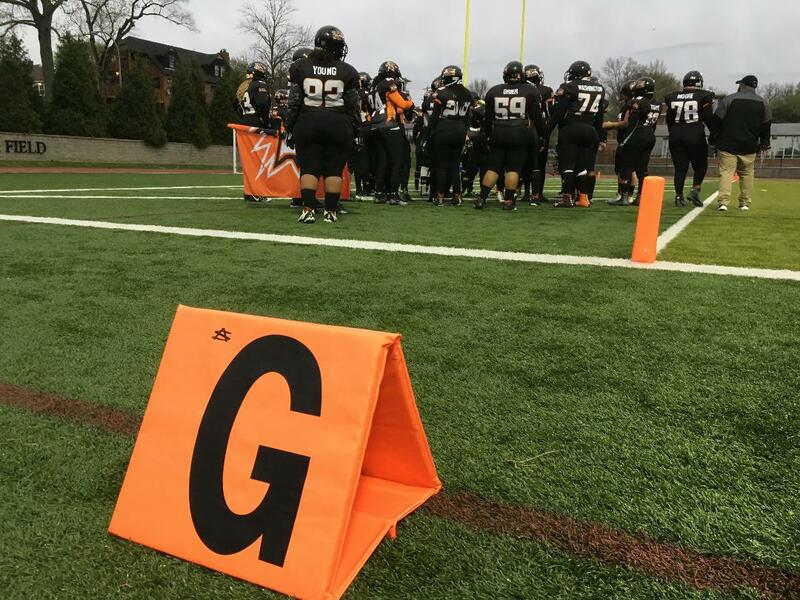 After pushing the ball to the SLAM’s nine-yard line and possessing a first and goal set-up, the Titans managed to drive to the two yard line after a pair of downs. Then on third and goal, SLAM linebacker Raven Williams penetrated the Titans’ offensive line and sacked Sowers for a 12-yard loss that muzzled a momentum shift. Sowers’ incomplete pass on fourth down resulted in KC’s possession turnover that maintained the SLAM’s six-point edge. The final quarter was when the weather drizzle led to the SLAM’s on-field sizzle. Paced by the offensive line of Caitlin Erickson, Tammie Moore, Kim Kinsella, Marion Ball and a host of others, the SLAM produced a 12-play, 54-yard scoring drive that was concluded by veteran running back Taylor Hay’s one-yard plunge with 12:30 left. Thompson added the PAT that pushed the lead to 21-8. 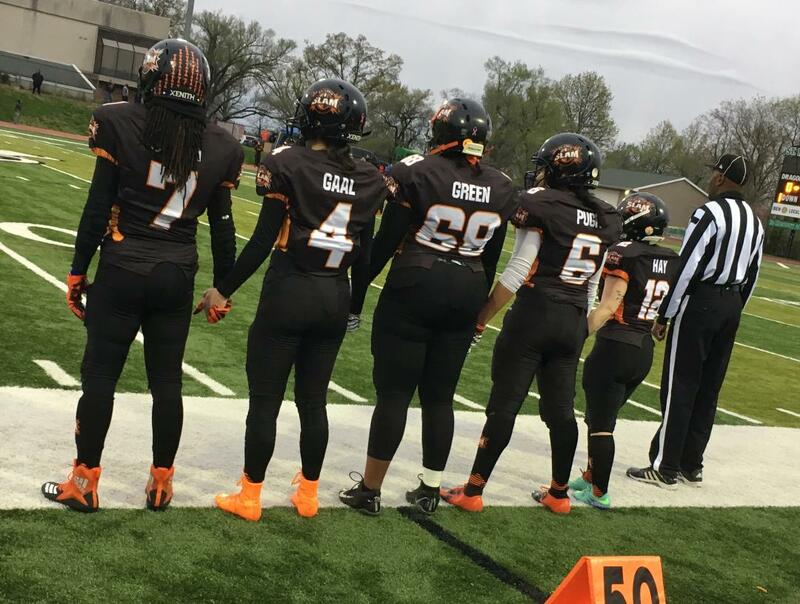 Meanwhile, the SLAM’s stifling defense, paced by Williams, Tiffany Pugh, Keyonna Smith, Pamela Green, Chelsea Clay, Kaylee Neutzling and a host of others maintained the lock down on the Titans (0-2) and never surrendered from-scrimmage points and minimal yardage. St. Louis’ final margin of victory came with their six-play, 29-yard drive that was finished by rookie running back Jamie Skinner’s four-yard plunge with 7:10 remaining and Thompson’s perfect streak of four made PATs. In the SLAM’s 28-8 triumph, Hay topped rushing with 105 yards off of 25 carries while Gaal finished the night with 116 yards off of ten completions and a pair of touchdowns. St. Louis is idle next week In WFA play but returns to St. Mary’s on Saturday, April 27 in a home contest against Derby City Dynamite (1-1). For more information on the St. Louis SLAM, go to their official website. RUSHING: Hay 25-105 1 TD, Altepeter 9-45, Watkins 6-37, Davis 2-24, Skinner 3-21 1 TD, Price 3-18 1 TD, Gaal 2-5, Hollingsworth 2-3. RECEIVING: Price 2-72 1 TD, Neutzling 3-20, Clay 1-9, Skinner 1-8, Speckhals 1-7. MEMPHIS IS BACK-TO-BACK DIVISION CHAMPIONS!